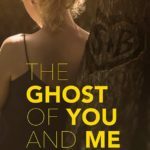 If you’re like most of my readers, you’re here looking for information. Maybe it’s information about Diner en Blanc, DIY party planning, book recommendations, or how-to tips on how to set up your home. Whatever it is, I hope I can help you by sharing my ideas and expertise. I know what it’s like to try and figure things out on your own, wishing you could find help or information out there somewhere. When I started blogging back in 2008, it was a journal of sorts. 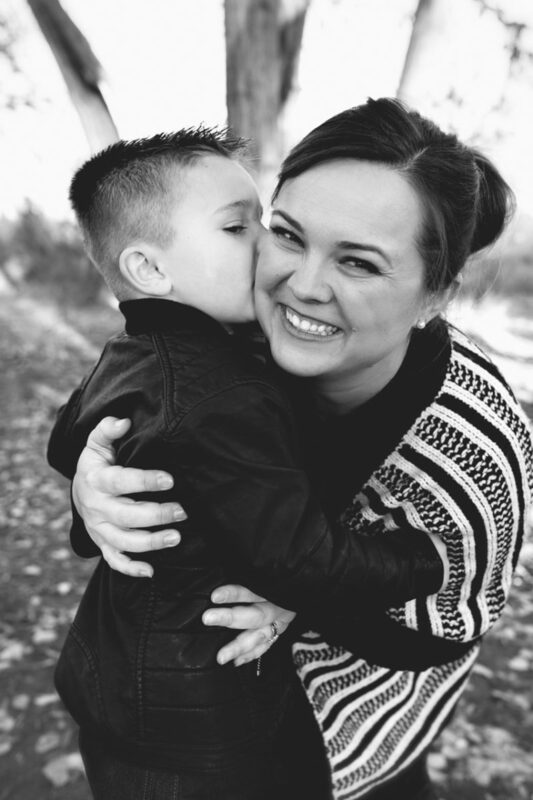 I wanted to share recipes, family stories, my personal journey with my hearing loss, parties, and pretty much anything else that suited my whimsy. It was a little lifestyle blog, but honestly, I had no idea what I was doing (and if I’m being honest— I still don’t— but I’m trying!). 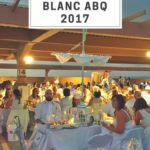 Eventually I stopped blogging there and just kind of floated along until a few years ago when I found out Diner en Blanc would be coming to Albuquerque for its inaugural year. I was ecstatic. It had been a bucket list item for my for YEARS and after I secured our tickets, I started to obsessively search the internet for tips and tricks on attending, what I should expect, what I need to take— just anything and everything I could find. What I did find, while vaguely helpful, wasn’t enough for me. So I did what I could and after attending the first time, realized that I had A LOT of information I wanted to share with people. If I was looking for it, surely someone else out there was was well? So I wrote the post, pinned the images (which, to be totally honest are really bad, but to be fair I’ve learned a lot since 2014) and have been so pleased to see it’s helped many people. 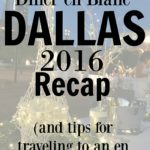 Then in 2016, I decided to write the e-book, The UnOfficial Guide to Diner en Blanc to share even more knowledge I had gleaned. My goal in writing this blog is to not only share pictures, but HOW TO do things on your own, on a budget. While I have shared a lot of pictures over the years of parties, events, recipes, Diner en Blanc— whatever really— I haven’t really shown the HOW to. The behind the scenes thought process for HOW TO pull together a theme, source items, build a salad, organize a space, or keep a house running is something I’m working on sharing more of. I’ve been married to my best friend since 2004. 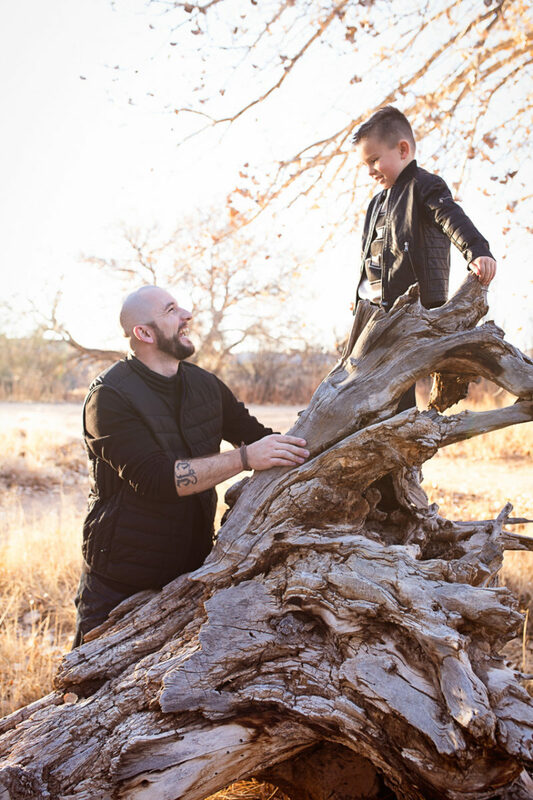 He’s an okay guy (just kidding…lol…he’s pretty rad). 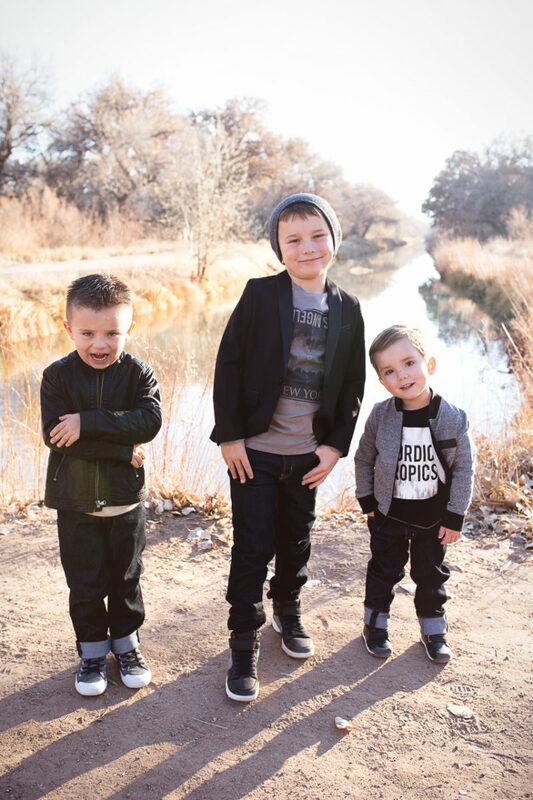 We have three boys and they are bananas. Seriously. There are really no words for explaining what things are like in a house with 4 guys (husband included) and a momma who loves all things white and lots of pretty. Let’s just say that it can be a challenge (understatement). 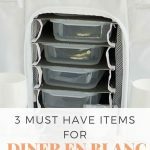 While this blog mainly focuses on Diner en Blanc, organization, DIY party planning, book recommendations and just general life items, my other blog Bunches O Lunches is where you can find recipes and tips for packing lunches, lunchbox reviews and lunch/dinner ideas. If you are new here— and you probably are if you’re creeping on my about page 😉 — here are some of my most popular posts. I love to offer free content! That’s why I have this blog. But I do have some commercial products and services. 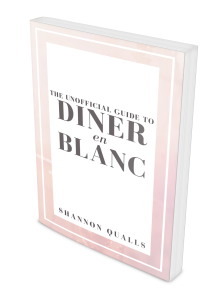 Be sure and check out my Diner en Blanc Purchase List and E-book, “The Unofficial Guide to Diner En Blanc “. If you are interested in a party design consultation, you can e-mail me at shannon@shannonqualls.com. Some of my posts contain affiliate links to products and services. If you click on the link and make a purchase, I receive a small commission. This is at NO EXTRA cost to you. I do my best to only post items I have or would personally use. If I’m not willing to spend money on it, why would I want you to? If you don’t want to miss out on any of my blog posts, quick tips, or book recommendations, be sure to subscribe to my blog. It’s fast and easy. I promise not to spam you or sell your information. That’s just mean. *Special thanks to Vanessa Kuehne Photography for the use of her photos. If your in the 505 definitely check her out!